Wright built his first Usonian dwelling in 1936. 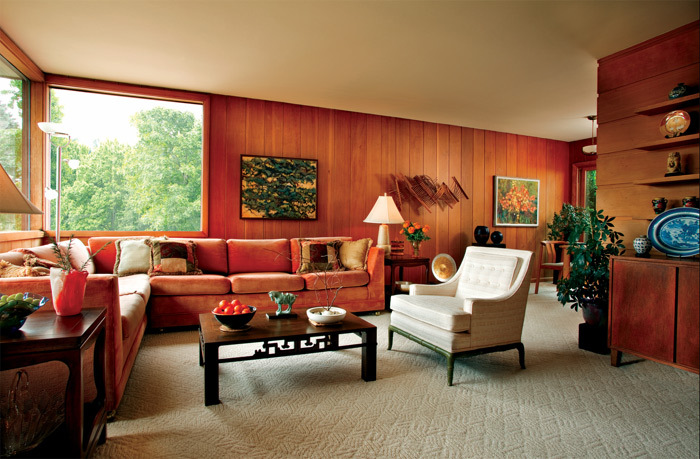 Purportedly derived from the initials for United States Of North America, Usonian meant a small yet spacious, light-filled house targeted specifically for the middle class. The type was to offer a sense of freedom concurrent with modern American life, and featured open floor plans, affordable materials, simple construction, and fewer personal belongings (i.e., clutter). A similar criticism was communicated to Lillian and Bill Durig in the mid-1950s, when they began to build a 1,960-square-foot, Usonian-type house on a lot in Portland, Oregon. The lot was surrounded by orchards and afforded views of Mt. Hood and Mt. St. Helens. “We were living in a tiny apartment and I was pregnant, so we went looking for a house,” recalls Lillian, who grew up steeped in art and architecture. She often found herself discussing Wright’s ideas with her brother, architect Stephen Mayer. 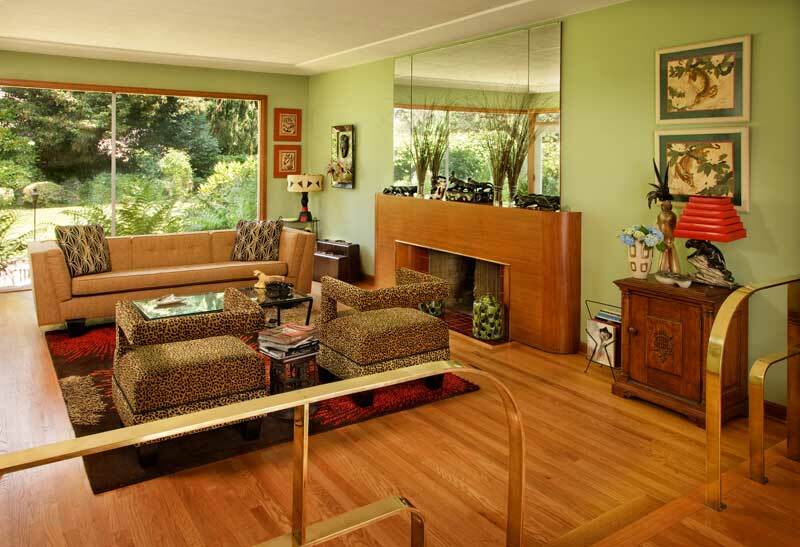 When she and Bill couldn’t find a house they liked, they asked Mayer to design a Usonian home for them, similar to the one Mayer had built for himself in Eugene. During construction, neighbors complained about the flat roof. 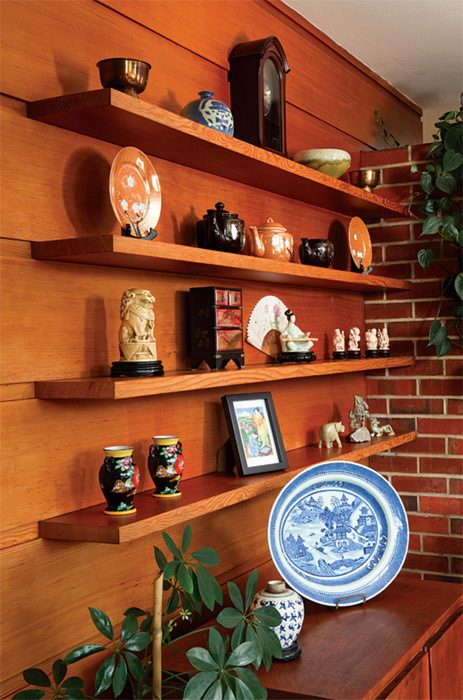 The horizontal, inverted board-and-batten paneling and cantilevered shelves are classic Usonian elements, as is the display of Asian pieces. Forward 50 years: last spring, Lillian played host to more than 200 visitors from the Architectural Heritage Center’s annual old-house kitchen tour, many of whom were young—and enthralled by the enduring quality of the Usonian design. 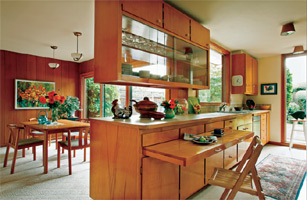 The birch kitchen still functions, complete with floating cabinets and a pull-out breakfast bar; its original lighting still looks up to date. They voted the house “Best Design” in an informal survey. 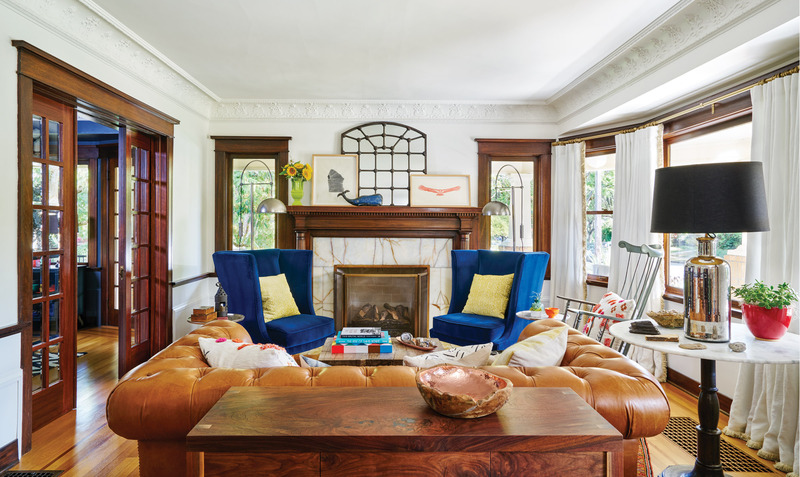 “The young people were particularly intrigued by the construction of the cantilevered hearth,” says Lillian, who notes that the concrete has darkened over the years. She sealed the patina with vinyl-floor wax. 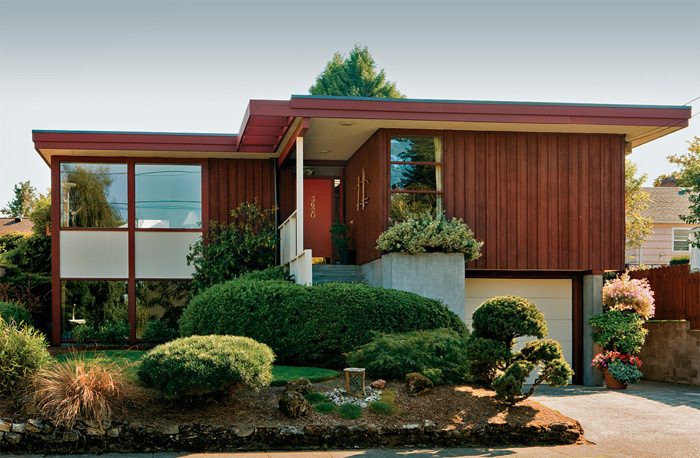 The 1955 Usonian-type house has typical cedar board-and-batten walls. Overhanging eaves reiterate the shadow box formation of the stacked bedroom windows and hall skylight. The kitchen was chosen for the old-house tour for its authenticity. Only the flooring, appliances, and Formica countertops have been replaced since 1955. Birch cabinets designed for the open plan allow the cook to be part of activities in the dining room and on the patio. The house is constructed around a central masonry core, which is broken up by the use of flat planes, grids, and a curtain wall that acts as a “pause” between the living area and the kitchen. These houses make a strong statement, although they were designed as simple and affordable single-family residences.